In Psalm 12, King David talks about the wickedness that existed in his generation and how the poor were being abused by the ungodly of the day. In the midst of this seemingly depressing situation David declares that even though ungodliness and pain surrounded him, the Lord would be faithful to watch over all His loved ones. The NIV Bible says the Lord will keep the needy safe and protect us forever. The NLT Bible says that the Lord will protect the oppressed. Which ever translation you prefer, the point in today's promise is that the Lord has promised to watch over us and guard us forever...even in the midst of an ungodly generation. We all know that we are called to be in the world but not of the world. 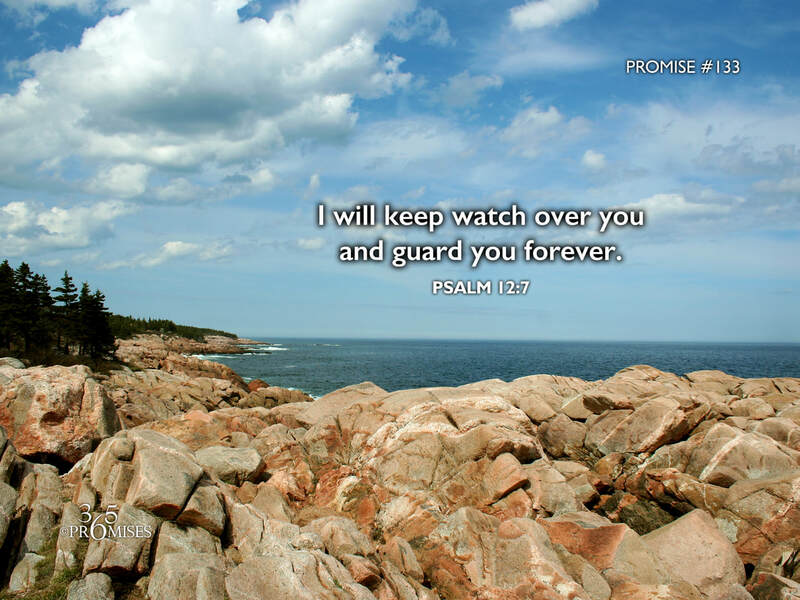 My prayer today is that each one of us would feel completely safe in our Father's hands, knowing that He has promised to watch over us and guard us forever...even in the midst of very trying circumstances.